On Wednesdays and Thursdays- I write about video games and gaming in general and this week works out pretty well because I recently started “Project <3” and it sort of fits in with both gaming and weight loss. I’ve really changed the way I look at health over the last year and the way I describe how I’ve been successful- a lot of it has been making myself so busy with hobbies (website, writing, gaming, C4K, etc) that I don’t have much time to set around and eat. I’m researching and working towards becoming a Sharketo Master and I’m looking at my journey a lot like a video game. To “beat” the game, I want to lose 200 lbs. and that may never happen…it may just be a game that I continue to play but never finish and that is fine- as long as I continue to play towards that goal. There are several levels I have to beat and it started out small- lose 10 lbs., 25 lbs. and then 50 lbs. and then 100 lbs! The game gets harder as you go- your body adapts to the way you play. I post stuff on SharkysWorld.com and talk to people about what I’m doing as a way to help the “noobs” and I’ve decided to also have mini-side quests as well. 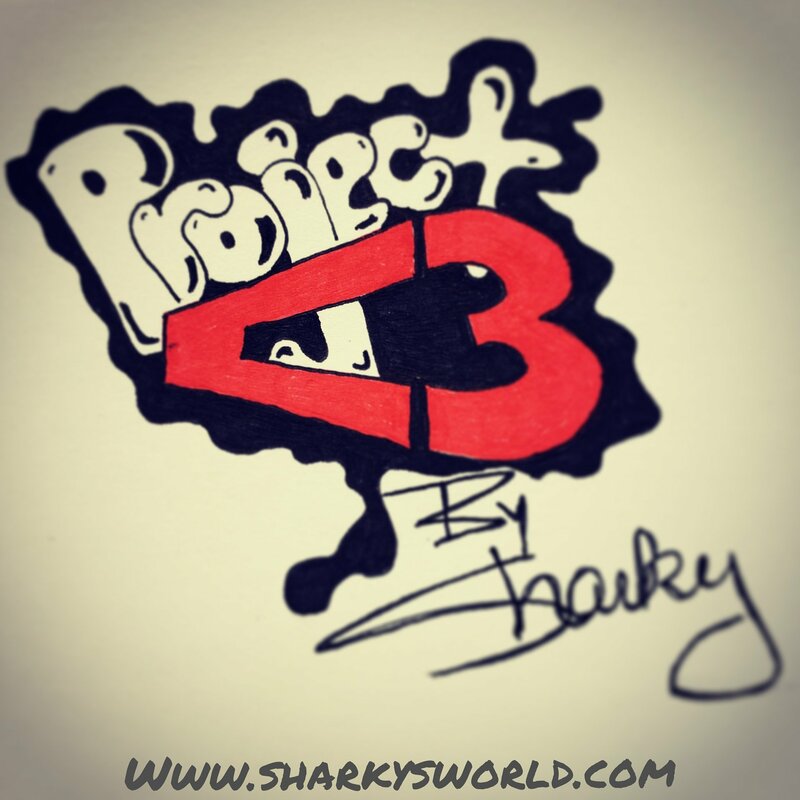 Project <3 is a side quest. November was another rough month with my falling into the same routine- killing the week but screwing up on the weekend- I even did it through Thanksgiving! We had SharketoGiving and killed it with the entire meal being about 22g of carbs and then just turned around and had pizza and candy on Black Friday- no clue why because I can have Sharketo pizza and sugar free candy…it makes no sense. Well, it’s like when you play Super Mario Bros for the 4,000th time and you take off speed running and jump too late and get killed by the first Goomba. You’ve played that game thousands of times and beat it thousands of times yet you just died instantly- you just start over and keep going…no biggie…just a stupid mistake. Project <3 is something I’m starting to get me back to where I was, recover November and then have a strong December. I’ve never been much for “strict” keto because Sharketo works better for me…for the long term…but, for now, I’m going as strict as I can and it’s already working. Over the last 2 days, I’ve dropped 4 lbs. 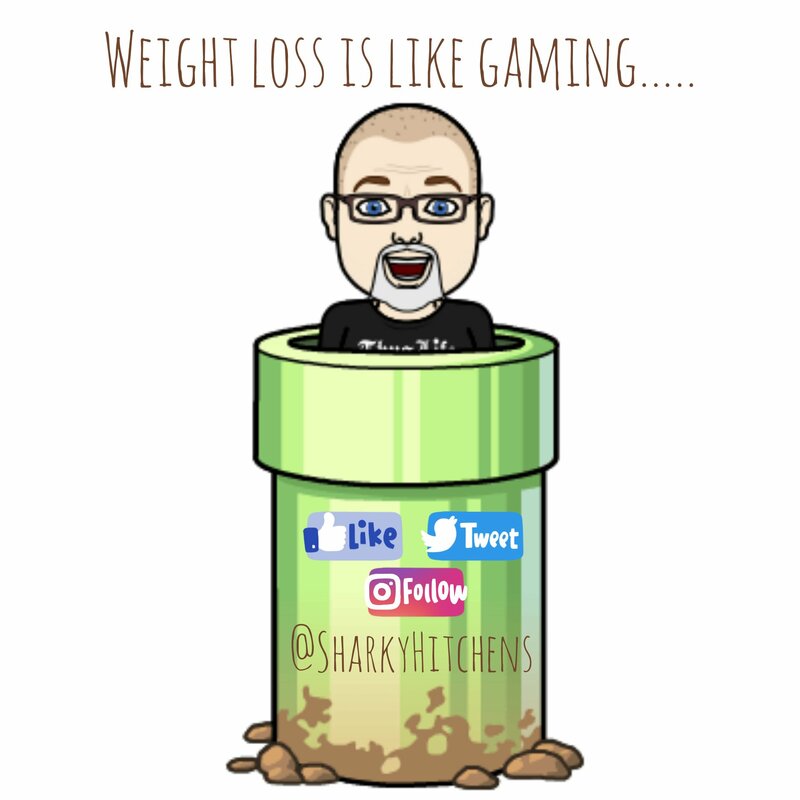 exactly…now that isn’t actual weight- it’s water weight/bloating from the cheat day and I won’t be losing actual weight until I get back to where I was at 308.4 lbs. but I should be there by the weekend and hopefully a little lower so I can show a loss for November. Weight gains bother me but I’ve learned to not let them destroy the entire journey…dying once doesn’t make you stop playing. I still play Super Mario Bros and have probably die 10,000 times over the last 30 years but I just keep playing. Project <3 is just a side quest to get me under 300 lbs. and then I’ll be back to the full campaign and headed towards that 200 lbs. boss. If something happens and I screw up again, I can always play through Project <3 again but hopefully I won’t have too. No matter how many times you die…keep playing! PS- It’s Project “less than 3” which has a double meaning- it’s getting me under 300 lbs. but the <3 makes a heart and being under 300 lbs. will be great for my <3 as well.